There's a new gallery to see on our Projects page! Check out the impressive aesthetics and functionality of 345 Harrison, which was installed in the Boston area. The telescoping walls on this job come together to meet at a corner condition, allowing the entirety of the space to be opened up to the lobby beyond. A black finish and both horizontal and vertical applied mullions give the walls a modern feel while at the same time keeping the panels light enough to slide easily along the track. An incorporated swing door on one end rounds out the design. Click the link below to view more pictures from this exciting new project! Happy New Year! Spaceworks is working just as hard as ever to start the year off right. We’re revisiting familiar buildings, such as 888 Boylston, with brand new projects, as well as continuing some of our large year end projects into 2019. 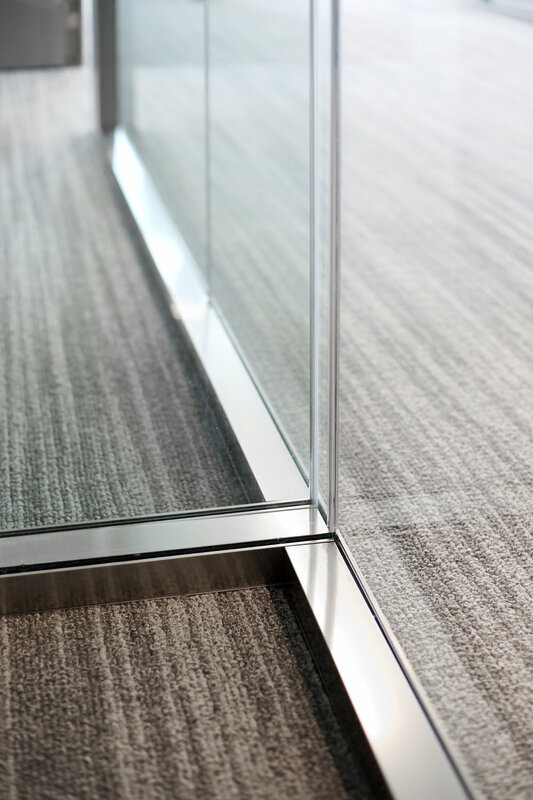 One such project is for a management company in the heart of the financial district of Boston, which is wrapping up this month with a few final deliveries of glass. The job incorporates a special champagne finish on the framing, dual-glazed returns between offices, and some back-painted glass in various locations throughout the project. 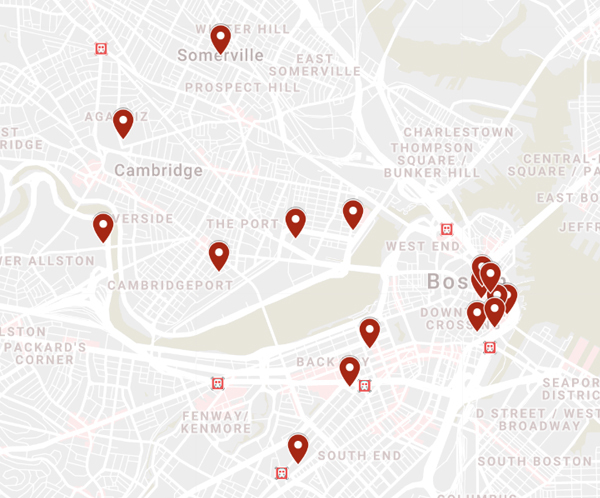 We’ve been working up submittals for a variety of other fast-paced jobs across the Boston area, from the Landmark Center to the edge of Cambridge. Check out all of our current local projects on the map below! It’s the holiday season, and Spaceworks is staying warm with a slew of new projects. From chilly Portland to the middle of South Carolina, we’re ramping up jobs across the East Coast just in time for the new year. Since 2016 Spaceworks has been involved with an exciting project on Congress Street in Boston. 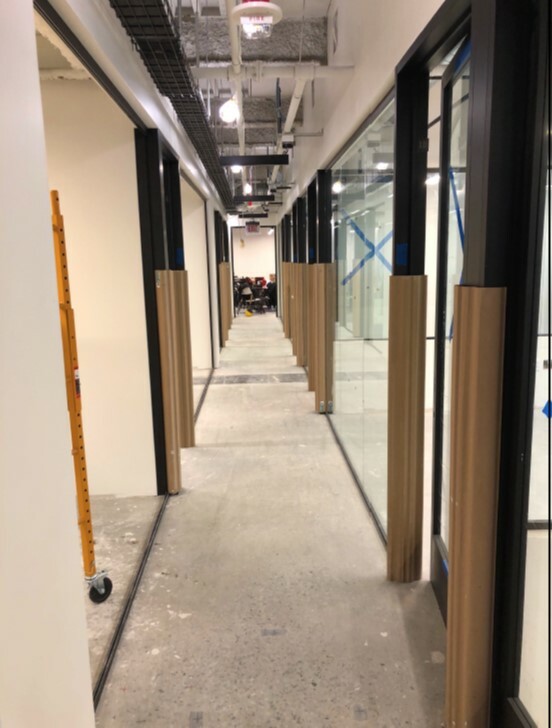 We’ve completed a huge mix of framing and glazing scope there across 11 floors, including Litespace offices, fire-rated borrowed lites, custom one-way mirror glass, and more. 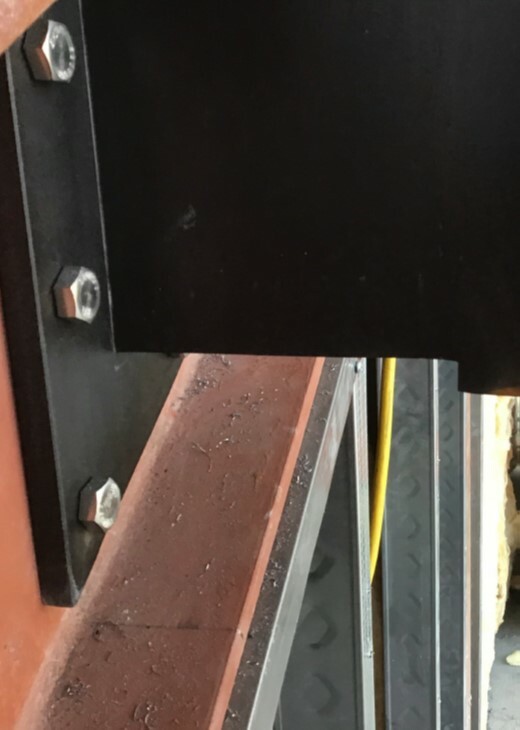 Check out some progress pictures of the custom handrail we’re currently installing into their two-story amphitheater - glass to follow! 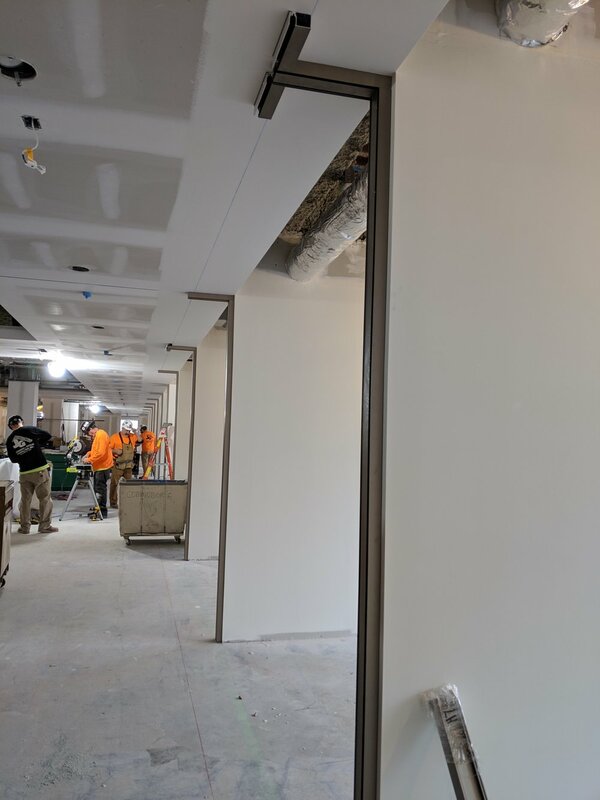 Other projects we're working on in the Northeast include a fast-paced job with frames from Italy, another Wells Fargo office in Bedminster, New Jersey, and a large new project in Cambridge to match previously completed work for the same company. There's a new gallery to see on our Projects page! Check out the stunning design of the Asics Creation Studio in Boston, which was completed this year. 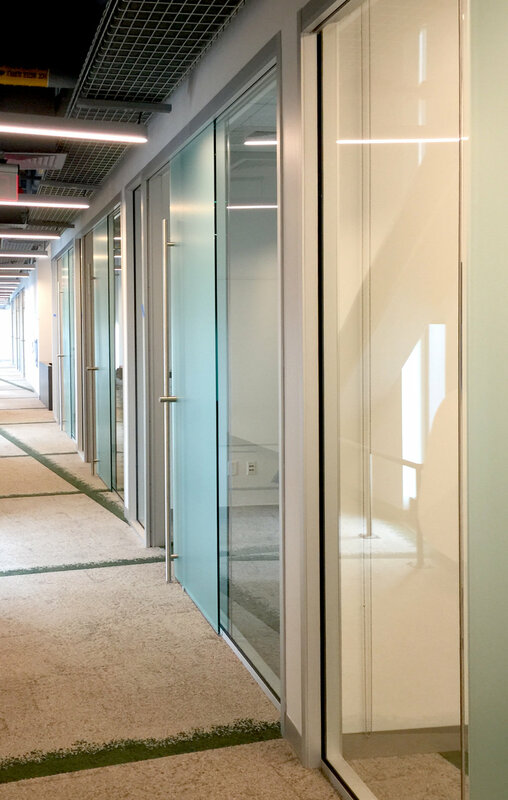 For the new Boston office of Duck Creek Technologies, Spaceworks AI provided a varied scope: nearly 500 linear feet of office fronts with frameless glass doors, a kitchen area with partial height and trapezoid-shaped glazing, an angled glass reception wall, and a fire-rated glass and door assembly for the entry. Spaceworks is ready for fall and kicking off some exciting new projects! This month, we're as far south as we've ever been – back in Columbia, South Carolina. We've also headed in the opposite direction to begin a new job up north in Colchester, Vermont. In August, we talked about getting ready to start a second Industrious co-working space, this time on Summer Street in Boston. Now, only a little over a month later, we're wrapping up our scope of 98 office fronts with half-height walls, doors, and film. Check out some of our progress pictures below. 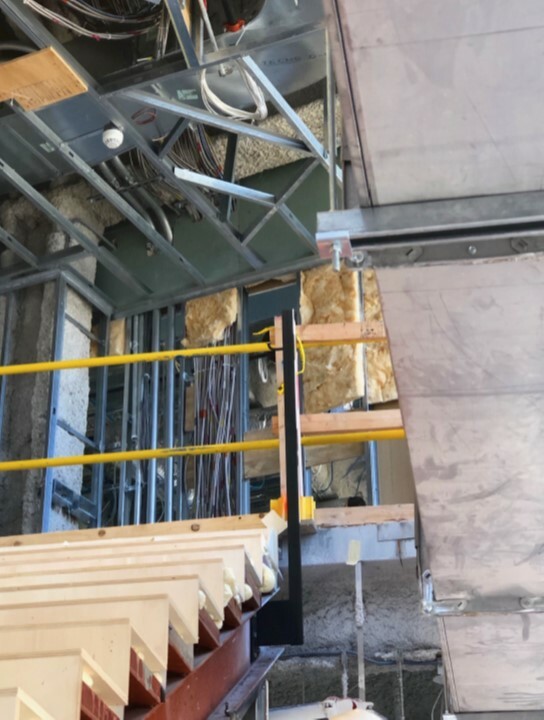 Other projects we're working on in the Boston area include a glass staircase in One International Place, eleven floors of office fronts and entry doors on Congress street, and some specialty work for a cafe in Cambridge. One of the primary concerns when specifying a demountable wall system is acoustics. This aspect of a product can be more difficult to evaluate than it sounds. Not only are there many factors that can affect the acoustics of a system, there is also a lot of misunderstanding and misinformation that accompany them. Below are some facts and tips that can assist in accurately and effectively figuring out what will best work for a given project. There's a new gallery to see on our Projects page! 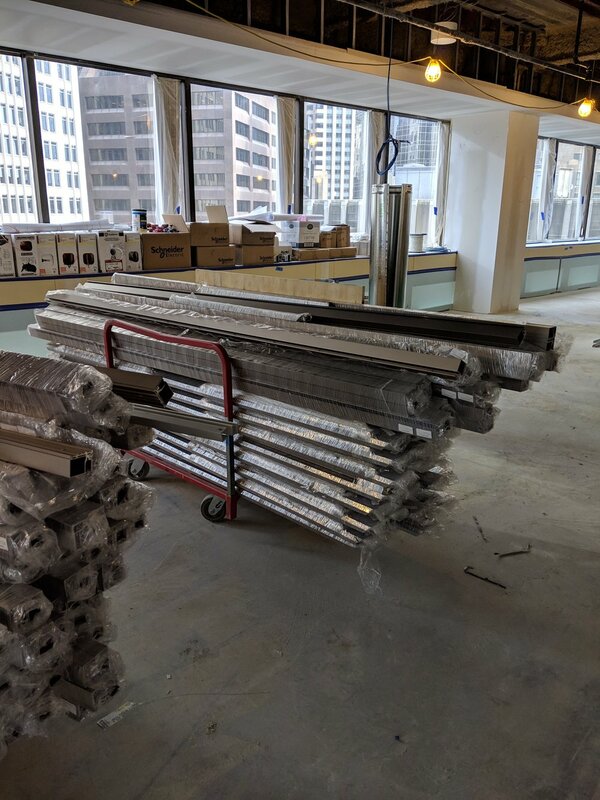 We are currently wrapping up the Kirkland & Ellis job, which occupies two floors of the Hancock Tower. This month, we’re gearing up at projects as far north as Portland, Maine and as far south as Chattanooga, Tennessee! Both of these jobs are actually for the same company - the Unum insurance company, for which we’ve also worked on offices in South Carolina. A little closer to home in Boston, we’re wrapping up a project on the top floor of 60 State Street and starting another one this month on Newbury Street. We’re also getting ready to begin construction on another Industrious co-working space, this time on Summer Street. The first Industrious project we completed was in the Seaport, and both will end up being around 100 offices. Wells Fargo Virginia, in McLean, Virginia outside of D.C., is finally coming to a close. We have been constructing that job, which was separated into five phases, since 2017. Nearby in Bethesda, Maryland, we are about to begin another Wells Fargo job that will be completed in a single phase. 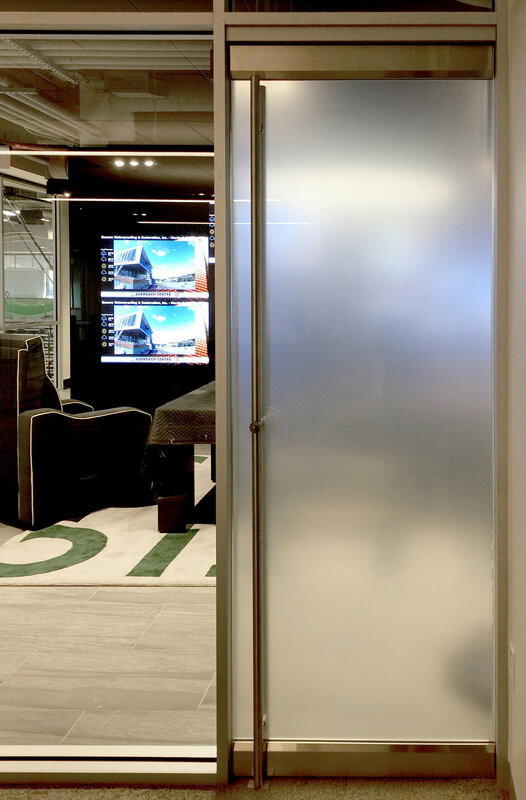 All of the Wells Fargo jobs that we have worked on are built in our proprietary Litespace system with frameless glass doors. Each month we’ll be posting a map of our current projects, so stay tuned to see where we're going! Spaceworks AI is proud to have been a part of the construction for the new Celtics Auerbach Center practice facility. The space was officially opened on Tuesday, June 19th. We’re proud to announce and welcome you to our refreshed website, complete with new project photography to stretch your imagination of the possibilities of interior glass! The website is a true reflection of the evolution of Spaceworks Architectural Interiors over the last two years. We have grown in size and capabilities – further developing expertise in all areas of interior glass. With this update, I wanted to refresh the community as to who we are and all that we offer. · Creative Interior Solutions - offering the Design Community a wide range of thoughtful and beautiful creations. · Preconstruction Services & Project Delivery – execution to completion working as a subcontractor to the top General Contractors. · Robust Supply Chain – relationship driven network for glass, aluminum, hardware and specialty architectural products working with the best-in-industry manufacturers. I encourage you to meet the team, reach out, ask a question, request samples or information – we are all here to assist. From all of us here at Spaceworks – we thank you for your continued loyalty and look forward to delivering unparalleled service and expertise. On a personal level, I am so proud of the team here at Spaceworks and am very grateful for all the support from the community. We are doing something very cool and special here and could not have done it without you! Our website has a new look! We have been working on updates to make www.spaceworksai.com easier to use and navigate, as well as adding exciting new content and images. Our goal is for this site to be a resource from which our system offerings can be referenced when working with project designs, as well as an inside look at the many products Spaceworks can provide - from aluminum framing systems in a variety of profiles and door options to specialty glass work for custom designs. Go to our product page to see system and glazing information, or head straight to our galleries to find pictures of some of our work sorted by project, product, or application. Have something specific in mind? Type it into a search bar to view all pages and images associated with that term [for example, search "frameless glass door" or "specialty glass"]. Need to talk to us? Head to our contact page and fill out the information form. If you already know exactly who you're trying to reach, go to our team page for a list of employee emails and phone extensions.